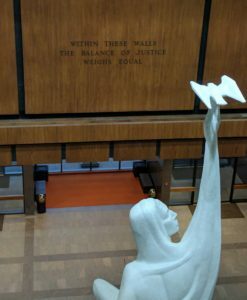 The Kansas Supreme Court today heard arguments from Plaintiffs and the State in the school finance case that will determine whether or not this year’s school finance bill will meet constitutionality on both equity and adequacy. Although it is not officially part of the evidence in the case, a central point in arguments today became the school finance cost study done this year by Dr. Lori Taylor of Texas A&M University. Conservatives in Legislative leadership had hoped Taylor’s study would demonstrate that our schools were already adequately funded. Instead, the study suggested that in order to meet the goals of the state’s education plan Kansas needed to invest an additional $1.7 to 2 billion. Justice Eric Rosen went so far as to say “Here, you all are always battling your own expert…” in response to the state taking a position contrary to the Taylor study. Questioning was sharp and, as always, it is difficult to say for certain where the Justices are going although most observers agree that they appear to be skeptical about the adequacy of the latest legislative attempt. As we’ve indicated in previous posts, the Court’s skepticism was not completely unexpected. The Court has promised a ruling by June 30 although it is hoped that the ruling will be sooner – especially if it might require the convening of a special legislative session. Kansas NEA remains confident that whatever the Court rules, the Kansas Legislature will take their responsibility seriously and address the situation in a way that ensures our schools are open in August – that every new Kindergartener and Kindergarten parent will experience that first day together and that every rising high school senior will begin their final year on time and on track to graduate. 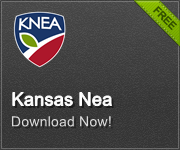 While the uncertainty of funding is difficult for everyone, KNEA has planned for contingencies to ease the concerns of our members throughout the state. Whatever the decision and whatever actions have to be taken, Kansas NEA will be there to work with policymakers and to protect the education of our children and the well-being of Kansas educators.